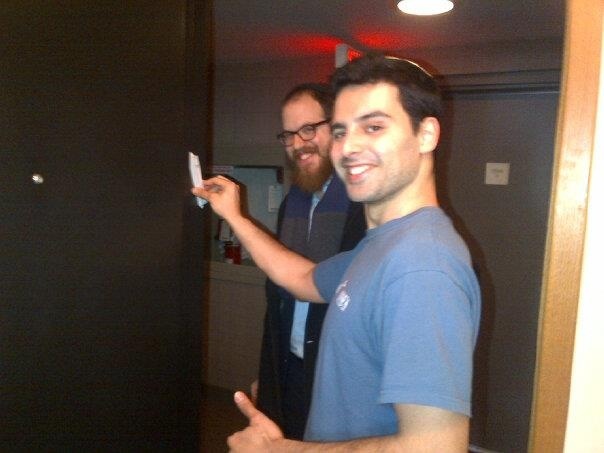 Referral system - wherever your career or travels take you, a personal referral to your new Chabad family will get you that coveted second serving of kugel and ease your adjustment to your new life. Lifecycle events - we can guide and officiate at your wedding, son's Bris, and more. We are here for you in, G‑d forbid, times of illness or death as well. New Home - Mezuza sales and installation, kitchen koshering (and first l'chaims!) in your new apartment. Networking - nobody knows as many people as a rabbi and rebbetzin. When you're looking for a job, let us help! Email list - click here to subscribe to our alumni list. 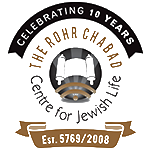 Receive bi-annual updates on what's happening at Chabad, holiday wishes, and share in our family Simchas as they occur, G‑d willing. Endowing a chair at Shabbat dinner is to be taken literally - there will be a chair with a temporary plaque with your dedication on it, which will be sat on by some lucky student every week. By endowing a chair, you are no longer merely a consumer - but a creator, and are our beloved partner in the great Mitzvah of Shabbat hospitality. To begin the endowment process - click here.